Caleb is a cheerful and adventurous Canadian. 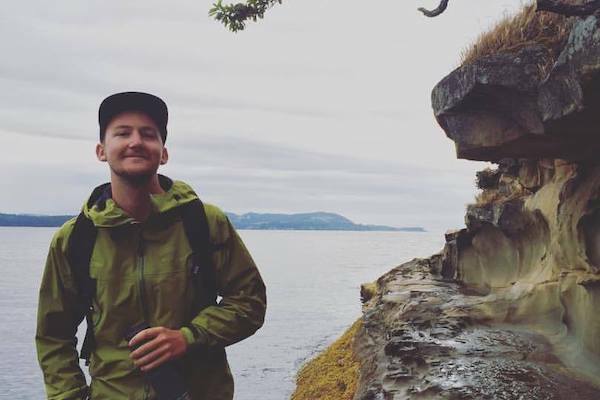 His unquenchable passion for adventure was born on the beaches and forests of Vancouver Island, where he grew up exploring nature’s wonders and pushing his comfort zone through various outdoor pursuits. From a young age, Caleb had the opportunity to take on leadership and instructional roles through youth programs like Scouts Canada and Royal Canadian Army Cadets, where he and his mentors quickly discovered his talent for public speaking and facilitation. Caleb chose to further refine these skills through post-secondary education in leadership and intensive professional roles in marketing, communications and business development before returning to the field of outdoor education to serve his higher purpose: help others better lead themselves and others towards an inclusive, sustainable future. Caleb enjoys healthy local food, strong coffee, intelligent conversation, and the beautiful west coast. He has studied Business Administration, Management and Marketing at the Vancouver Island University.